There are 2 cat videos tagged with pomeranian. If this is what cats and dogs fighting is like, we're not sure it's a very bad thing! 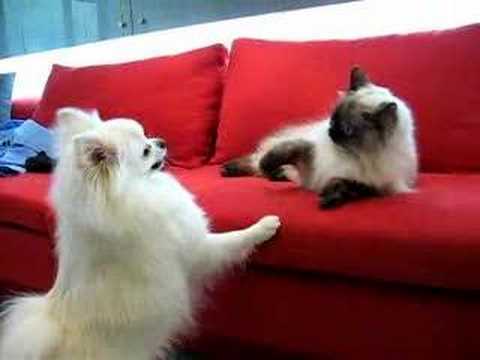 An adorable Pomeranian dog fights with a Himalayan cat. From the couch, the cat defends itself by pawing back and trying not to look too bored. 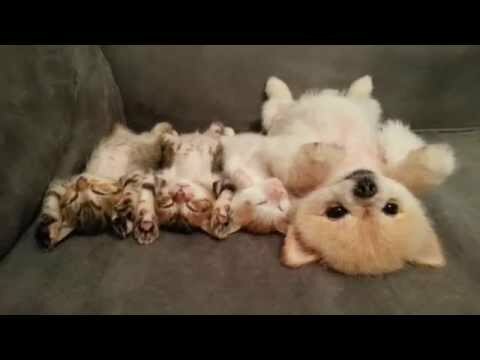 Three kittens sleep on their backs with an adorable Pomeranian friend. It doesn't get cuter than this.